Each time a new Google update is rolled out, the moans and groans from webmasters, bloggers, and internet writers whose traffic seemingly fell off a cliff can be heard across internet forums. Survivors chime in too, tentatively claiming victory, although accompanied with the uneasy feeling that maybe they only dodged the Google bullet this time. Yet, these "unlucky" and "lucky" internet content providers often have this in common: they have no understanding of why the most recent Google update caused their site's search engine traffic to either sink or survive. But ranking well in Google SERPs does not have to be a mystery. In reality, Google SEO is as simple as black and white. Website owners dependent on traffic via Google understand that a sudden loss in traffic may mean a sudden drop in income. During 2011 and 2012 this was the case as Google changed their search algorithm with the Panda and Penguin updates. The over-arching goal of Google's search algorithm updates is to return higher quality sites to users. Yet, it seems as though Panda and Penguin have been unfairly blamed for the traffic loss that many websites have experienced. Remember the old saying about blame: when pointing a finger, three are pointing back. Sure Google is setting its "rules" for who gets to play in its top-search-results playground, but the only thing that website publishers, bloggers, and writers can do is examine and change their own body of internet work. 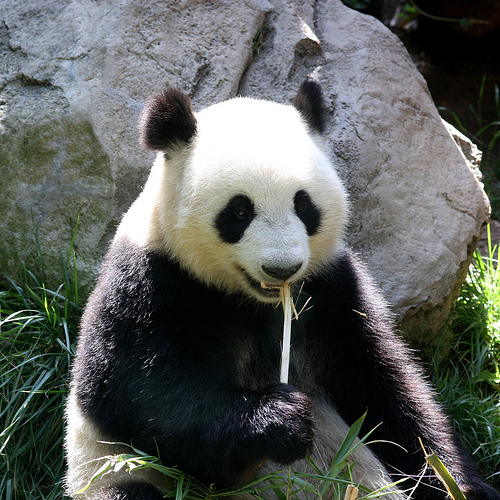 How did Google's Panda update impact traffic to your site? Perhaps the names of the most recent Google updates, Panda and Penguin, provide insight into Google's expectations for pages to rank high in its search engine results. Question - What do a panda and a penguin have in common? Answer - They are both black and white. To those in-the-know about all things SEO, black and white are very meaningful terms, as in black hat SEO and white hat SEO. Whether or not Google is attempting to humorously pass this subliminal black and white message along through their update names really does not matter. What is important is understanding that each can have a major impact on search engine rank. Simply put, Google penalizes sites employing black hat techniques and rewards those using white hat SEO. "...the usage of SEO strategies, techniques and tactics that focus on a human audience [as] opposed to search engines and completely follows search engine rules and policies." "Webmasters who spend their energies upholding the spirit of the basic principles will provide a much better user experience and subsequently enjoy better ranking than those who spend their time looking for loopholes they can exploit." The goal of the Google Panda and Penguin algorithm changes is to return higher quality sites to users - sites that provide a great user experience and meet their information needs. It's often been said that "content is king" but perhaps the new mantra should be "user is king." Certainly creating essential, high-quality, and unique content is almost mandatory to achieve good rank and must not be overlooked; after all the user's information needs must be fulfilled. But spend time reading Google Webmaster Guidelines and the official Google Webmaster Central Blog, and very quickly it becomes apparent that the user's experience is the heart and soul of Google's focus. Over and over the user's experience and usability of a site are touted. Journalism students are often taught to know their audience. Likewise, web content providers should consider their audience, and determine what type of experience their audience expects; what would make their page far more compelling than the next one about the same subject? "Good search engine optimization ... mean[s] ... thinking about creative ways to make a site more compelling, which can help with search engines as well as social media." The best writers are the ones that can put themselves in their intended audience's shoes and provide the best web content and experience for that particular audience. But it is important to realize that content goes beyond the written word. Make no mistake about it, words can be compelling, especially when it is clear the author has first-hand knowledge, but the internet is not an old black and white static newspaper. Be creative! Compelling content has to do with engaging your audience, keeping them on the page longer, maybe even causing them to share. Example 2: Or suppose you turn to the internet to find a recipe for chocolate cake. Do you find the recipe that has a photo of the ingredients needed to bake the cake or the recipe that showcases the author's photo of a slice of the moist chocolate cake more engaging? Example 1: Suppose you are a first-time mom who just can't figure out how to get her crying baby to burp. What would be more compelling... an article on how to burp a baby maybe with a stock photo of a baby and mom included, or an article on how to burp a baby with a video showing the technique? Perhaps you might even share the video with your mom's group. Example 4: You are searching for fun birthday party ideas; you come across a website that is very slow to load and when it finally finishes is full of ads and clutter. You next visit a page with ten fun birthday party ideas, listed 1-10 with a pleasing amount of white space, photos, and a rapid load time. Which are you more likely to read and perhaps share? Example 3: Perhaps you are trying to find a healthy way to make delicious homemade french fries. Is the recipe you find on the internet that is simply text, ingredients and instructions, more engaging, or the recipe that provides step-by-step photos, perhaps a video, nutrition facts, user ratings and comments? When the human audience is the focus of search engine optimization, both the website content provider and the user win. Content providers will be pleased to no longer have to try to stay on top of the latest black hat SEO trends, but rather focus their expertise into great content. Users will be pleased to find authoritative, unique and compelling content that meets their information needs, highly-ranked and easy to find in Google results. Additionally, users will often find that the content is creative and engaging, and worth sharing. It's as simple as black and white. Increase your website traffic by following these off-page search engine optimization - seo tips for backlinks. Page layout, including internet ads and content above-the-fold matters when it comes to Google SEO. Learn how to avoid being penalized by Google's page layout algorithm. Video SEO should be part of every search marketing strategy. Video search results often rank high, making it easier to get to the top of Google. Thank you for this hub very interesting and helpful! Just ensuring that what I have written is worth reading and is answering what the searcher is looking for has been a major editing work and I have not even done a fourth of my hubs. Beyond this, I have to make these more engaging. Otherwise, readers will just skim through it and leave. After reading this, my editing will have more focus. It is very encouraging to find an excellent writer like you here in hub pages. Excellent Hub. Easy to follow and I learned something. Voted up and sharing. Awesome hub. One of the things I gained from HubPages is learning to write for a community of people. Once I learned how to engage in great content and share others like I would my own, I started rank higher on Google. One of my blog sites just became a PR3 site within the last week or so. Definitely sharing, voting up, and pinning this hub. Great work. Rajan - Thanks for returning and reading this again. I have to agree that SEO is easier to understand when combined with online writing experience. Focusing on the user experience by providing content (text, media, and other forms) that engages the user and fulfills the needs of their original search query is the best route to take as far as I'm concerned. Thanks for stopping back by. Kristin, definitely enjoyed reading this again and I can understand it much better after being a bit more experienced in online writing. I truly believe black hat techniques do not work and it is white hat SEO that will do the trick of ranking articles higher up in search results. Kasman - I think it's important to write naturally, and sometimes when we do, we may overuse keywords.This was the case long before the Internet. 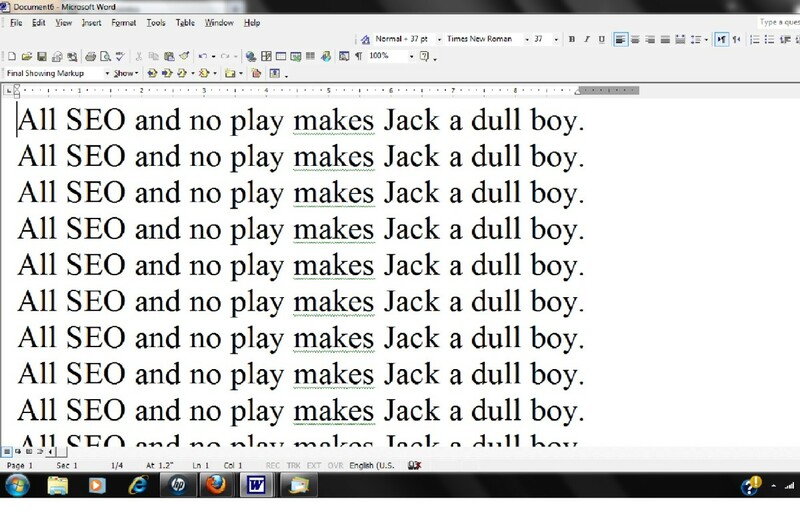 I can recall teachers circling words on my reports and papers saying to pick another word. I like to read my Hubs out loud before I publish them; it often becomes obvious when I use the same word or phrase too much. I am an interested in appealing to the human reader and not "offending" search engines. As a human reader, it is really obvious when someone has keyword stuffed on purpose vs. written in a natural tone. And I think search engines are getting smarter that way too. What appeals to readers, hopefully appeals to search engines too. Write about topics people care about. Write them naturally. Answer all potential questions a reader may have. Make a Hub engaging with media as well as words and a pleasing layout. In short, give the reader everything they're after and more. Thanks for your comment and vote. Thanks alot for your informative article. Still being relatively new to this, I may have been keyword stuffing without realizing I was doing it. It certainly wasn't my intention to do so, but when you're talking about something specific in a hub, you want to direct your audience's attention to the topic at hand again and again. Thanks a lot for the info, voting up! raincitygirl - Thrilled to know this Hub is helping you get started with understanding SEO. Thanks for letting me know. As someone who's just starting to learn about SEO, I found this to be a really helpful article. Thanks! Well thanks Cyndi10. What a great compliment; I'm glad you found this information compelling. I think the best lesson for anyone who writes and publishes on the Internet is to meet the expectations of their intended audience. Perhaps writers should change the label they give themselves and think of themselves as web content providers, with the written content just being one form of communication (albeit an important one). I think the visual expectations of "readers" has sky-rocketed and so it may be more necessary than ever to attract attention to the written content with visual elements - sort of like a good magazine cover causing you to open it up and find one of the cover stories. Thanks again for your comment--glad I could help. Hello Ktrapp, This is awesome information. The choice of video was great. You certainly practice what Google says is best, because this was a very interesting and compelling article. I had not subscribed to Google to get updates, but I can see there is great value in doing so. Thanks for the helpful information. wheelinallover - This may sound strange, but I'm glad you didn't glean anything new from this Hub. That means you're staying on top of things SEO-wise, as you said, searching for the newest information almost constantly. But a lot of people don't have time to do that, so I hope this hub and the one you have about writing for the reader offer up condensed informative versions of what we have both researched. Thanks for your comment. You visited my work so I returned the favor. As you know I didn't learn anything, although I hadn't seen the video there was no need. My resources are every bit as good. I publish almost daily for myself and others as well as do editing. When I am not writing I am constantly searching for the "newest information" on search engine optimization. This is an amazing factual article though so if I can figure out how to share it on one of my business pages I will. One thing is for sure we listen to the beat of the same drum. This article would set to rest for a few; that I do know what I am talking about. Thank you cabmgmnt. I was hoping that this information would simplify a topic that seems to overwhelm quite a few people these days. Thanks for your comment. Nice hub. This is explained clearly and thoughtfully. If SEO wasn't clear to readers before it is now. Thanks for sharing. Thanks Gypsy Rose Lee. I'm glad you found this thought-provoking and informative. I think the message I want to get across too, is that it's so easy to put into action. Voted up and interesting. Thanks for sharing this very informative and thought provoking hub. Passing this on. Thanks Jeff - good to know this helped clarify SEO into simple black and white terms. ktrapp - Thanks for the great hub. You made a not so black and white topic seem, well, black and white. Super tips on enhancing content and the user experience too. mary615 - What an overly generous compliment. Thank you so much. I know reading Webmaster Guidelines and Webmaster Central Blog isn't on the top of a lot of reading lists, but I personally feel that reading through them every now and then is incredibly insightful and inspiring. I always walk away with an "I can do this" attitude. I'm glad you learned a lot from those sources too. Thanks again for your wonderful comment and vote. You are without a doubt the most helpful Hubber in informing us about these topics. (No offense all you other wonderful people who help) I just went into Webmaster and really learned a lot on that site! Thanks so much for all this info. I voted this UP, etc. I'm glad you found it useful and clear to understand, Modern Lady. Thanks so much for letting me know. Outbound Dan - I hope traffic gets back to normal for you. I would think since you write a lot about outdoor activities that your traffic may drop on weekends, holidays, and summer months when people are out - well - being active and not reading about it. That may be what you experienced starting last Thursday just prior to Memorial Day weekend. If that's the case, think about the type of things a new or experienced hiker might be searching for on the web during this time of year and publish hubs on those topics. This much I know, you've got rock solid content, that is both unique and authoritative. This is a great hub full of useful information. You've explained it very clearly. Thanks and sharing! 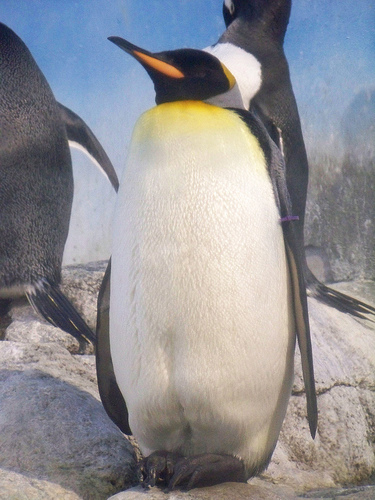 Great Hub - the penguin update wiped out my google traffic starting last Thursday. I knew something was up when my Google Japan traffic started to pass my Google US hits. However, my traffic is slowly coming back. I guess we'll see if and when things return to normal. Thanks Victoria Lynn. I'm glad you found this explanation on SEO to be helpful. Google Webmaster Guidelines and Google Webmaster Central Blog have a lot of good information that is written in a very user-friendly way, in my opinion. Wow, what a wonderfully helpful hub. You explain SEO so well! I had never heard of black and white SEO but I see the difference from what you're talking about. I'm going to have to read the Google Webmaster Guidelines now. Thanks for writing this, ktrapp! Many votes except funny! Sharing! tillsontitan - I think a lot of forum postings can be alarming when they are about the loss of a lot of traffic While they are often a good wake up call for many people, they should not be confused with the normal and expected ebbs and flows of web traffic. I'm glad you found this hub both useful and interesting. How timely and informative! So many of us are not "up to date" on what is going on and just write along as usual until we see a forum or question then wonder, "oh no, what am I missing?" Our ups and downs in traffic seem normal and we don't get overly alarmed, however, it's not good to be in the dark and you have helped turn on a light! Voted up, useful and interesting!!! moonlake - There really are two types of SEO (1)on-page, and (2)off-page. I mostly concentrate on having good on-page SEO. This involves all your content, keywords, title etc. Off-page SEO involves other types of marketing tactics, like getting links to your hubs. In my opinion, if there's not quality content that reader's care about then there's no sense in worrying about off-page SEO. That's why I feel that it is better to put the bulk of effort into focusing on the user experience and creating content for users. The great thing about having terrific content is that readers then naturally start to share it with their friends. And sometimes an authoritative site may find it and link to it. I had this happen recently with a hub I published. In less than two days of being published a magazine added a short paragraph on their website about my hub and included links to the hub and my profile page. The only thing I did was focus on on-page SEO and write solid content that I knew readers were looking for. Many readers who found it helpful, then shared it with their friends, and so on. I guess this is a long way of saying, that I personally don't submit links to my hubs on other sites very much (if at all). Plus, I think writers start to worry too much about "promotion" at the expense of content. You might want to read my hub about 10 tips for backlinks (there's a link to it at the end of the hub above). I never had to worry about Panda and Penguin my hubs were never high in rankings anyway. I read so many hubs on backlinking from sites like Redgage,Tumblr and Stumle. Is it really good to add backlinks for your hubs on these sites? All of it has me very confused. I figure someday I'll get a message from google saying they have disowned me and pushed me out of the family. Your hub is great and the information you have on it helps me understand a little better what is going on. I think it can be really easy to lose track of the basics with so much varied SEO information available. But our central goal should always be to provide solid content and present it in a manner that web-users find pleasing and perhaps even interactive. I love the Webmaster Central Blog! It always has good information, and why not get the SEO information we need straight from the horse's mouth. Thanks for your comment, votes and for sharing this hub. Deborah - Thank you so much for your kind words and for sharing it. I'm thrilled that this hub makes the topic of panda and penguin more understandable. This is probably the best explanation I've read of panda and penguin. Thanks for putting it in such understandable terms. I will be sharing this. You're welcome leenamartha. Thanks for your comment; it's nice to know that you found this to be of value. traslochimilano - Thanks so much. It is my hope that this hub will help people realize that search engine optimization is simple when the content and layout are user-focused. yougotme - Thank you so much. Compelling hubs and content can certainly be a win-win situation. I'm glad this hub provided you with useful information. This is really one of the best hubs I've read so far! I like your suggestion of simplicity. No wonder, I'm not getting sufficient views. I realized that I need to make my hubs more engaging. I love all the information you provided. Very useful. And I adore the tips you've handed out, so incredible! lex123 - You know, I'm glad you told me that this Panda/Penguin SEO information came across as simple and understandable. That's a real nice compliment, especially because I really do enjoy tackling a technical topic in such a way that readers of all levels can grasp. Thanks for your comment. Thanks for writing such a useful hub which made the readers understand Panda and Penguin in the simplest way. drspaniel - Smiling at this hub is quite a compliment, seeing that the topic of Google SEO usually has the opposite effect on people. Hopefully, the black and white idea (panda and penguin) keeps the idea to avoid black hat SEO and employ white hat SEO in the forefront of people's minds. Thanks for your comment. This is one of those Hubs which really makes me smile! :D It includes some amazing and valid information, as well as a humorous side joke to go with it. (Black and white are the colours of penguins and pandas!) I never thought of that properly before, and the point you made with that joke made sense as well. Great post to say the least! vespawoolf - Personally, it thrills me to no end to put the majority of my effort into content and doing it creatively! And I suspect that most content providers and writers would rather that be their focus than loopholes. The thing about loopholes anyway, is that eventually they get plugged up. Thanks for your comment and by the way your recipe Hubs certainly are compelling and captivating. This is a very insightful hub. We need to focus on quality content instead of searching for loopholes. I plan to try to follow your advice...thank you for sharing! Harinarayan - I'm pleased to know that the "black and white" word picture helped simplify SEO for you. Thanks for your comment. hi ktrapp, u have a good imagination power.panda and penguin, it really works.thanks for making SEO so simple. Thanks so much Nell. SEO doesn't haven't to be all that complicated so I am glad to know you found this Hub to be understandable. Haha :) I thought of a skunk as they're usually stinky! Zebra's would do fine too. Thanks for the info about the Panda - didn't know it. Thanks Brandon. Panda was actually the name of the Google engineer (Navneet Panda) who is responsible for this "machine-learning" algorithm (according to Wikipedia). But I'm not so sure Google didn't follow it up with Penguin to continue a black and white theme. So skunk might work. I was also thinking a zebra would since referees in their black and white attire are often referred to as zebras. Great hub ktrapp. Comparing the Panda and the Penguin - black and white; wow! I never thought of that. Maybe the next update could be The Skunk! Great comment skylergreene. I couldn't agree more; trying to "trick" Google with sketchy SEO tactics may appear to work in the short term, but the Google engineers will catch on and then penalize. Let's face it, creating quality content (text, images, video, interactive polls and ratings, etc.) that meets or exceeds users needs is much more gratifying anyway - both for the content provider and reader. It's kind of a basic premise of Web 2.0 that value increases proportionately with users. Google knows that, obviously, being at the forefront of Web 2.0 technology. So the idea that you can "trick the Google" with a lot of keywords and fancy sleight of hand is honestly a little ridiculous. There will always be ways to exploit any particular algorithm, but Google is a multibillion dollar company with an army of engineers who know exactly what they're doing. So employing sketchy SEO tactics may work in the very short term, but if you're engaging in these practices, you'd better bet that Google will outsmart you. I think it's better to first spend time creating quality content that actually increases user value, then later (if necessary) add a little SEO for the search engines. That's the only sustainable long-term method to profiting from online content publishing. Kelley - The truth is, I can't help myself. I've been in web design for more than ten years and am sort of a "fixer" by nature. You seemed discouraged, but you've got very authoritative, first-hand parenting content - no "fixing" necessary. Actually, I checked your placement in results for variations of "parenting a creative kid" and your page always came up in results 1-5. As long as you are writing about topics that people are searching for you should be fine. Just keep your audience in mind, always thinking what would make your page more valuable than others on the same topic. As a matter of fact, be sure to check out what your "competition" on Google has published and aim to make yours more meaningful and valuable. timetraveler2 - Not only is keyword-stuffing awkward and uncomfortable to read, it makes me run for a more authoritative site. I am so glad it is penalized, as I am link-building schemes. Thanks so much! Howard - It's good to hear from you. 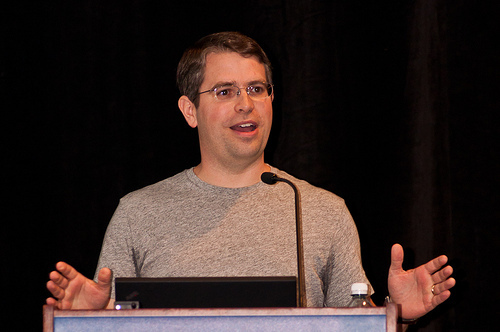 Take a look at the link in the Hub to "Another Way to Reward High-quality Sites" by Matt Cutts of Google. In paragraph 5 he explains that Penguin is all about targeting web spammers. Penguin has supposedly affected 1% of sites. Panda, on the other hand, looked at quality, content, number of ads, speed, etc. and lowered the rank of substandard sites. It impacts entire sites not just individual pages. It certainly wasn't perfect and like Marisa correctly points out in the comment before yours, some of the good got thrown out with the bad. Panda impacted 12% of sites. I am no SEO expert, but I have thought for sometime that keyword stuffing, etc. made writing awkward and uncomfortable. I loved this article and feel as you do about Google. They SHOULD be trying to please their users, and so should we. Doing that isn't easy, but I think clear, correct, creative writing full of good ideas is a start. Excellent hub! Marisa - What a terrific comment that adds so much to this discussion. As a user of the internet I appreciate Google's continued efforts to put forth the best quality product they possibly can. I remember a time, not terribly long ago (6 years ago perhaps) when it seemed like every internet search I performed returned loads of link farming garbage. I often would just jump to page 2 or 3 in results to find what I was after. As a user of Google I am so glad that they now do their best to stay ahead of those trying to game the system. And as a content provider I also am pleased that Google continually tries to separate the wheat from the chaff. Sadly, as you point out the system is imperfect and webmasters playing fairly may also lose rank and therefore traffic in the process. Quality content may not always be rewarded but it is most likely not preceded in the results by garbage either. There are only about ten spots per page on Google results, after all. But I highly prefer to compete with honest, well-written, authoritative content than those employing dubious black-hat techniques. I think Google's efforts certainly level the playing field. But I do think from the perspective of the web content providers, SEO is as simple as black and white. Google penalizes black-hat methods. Avoid it. The only option left is to employ white-hat techniques. What else is there? I've been following this topic a lot in the forums as well the last few days. It does pain me to read of Hubbers who have lost significant traffic, but if I were them I would go into analytical overdrive and take a good hard look at the results that precede their Hubs. I've checked some of these profiles out, and sadly I do see on-page SEO issues. One for example, has way too many words in almost every URL and often the main keyword isn't even within the first five. But that's another topic. Thanks again for sharing all your valuable insight. And by the way I have noticed how you have given very sound advice to other Hubbers in the forums. You're very kind to do that. Shucks, I thought I was going to learn how Penguin differed from Panda! (I accidentally voted "increase" in the Panda poll, when, in reality, it knocked me down to average 6 views per day since January 11.) Penguin is what finally counteracted it--hooray! I've been too busy for HP this year anyway, but finally got back to it last week, coincidentally a few days after Penguin. I owe you an email; stand by. I agree with your fundamental message - that you must write quality, engaging content. However I'm not so sure it's completely black and white, because although Google's objectives are clear, their tools are imperfect. Which is not surprising, considering what they're trying to do - but it means there's always collateral damage, webmasters with quality content who lose traffic through no fault of their own. I saw a wonderful quote on Searchengineland.com, saying that every time Google decides to get rid of the weeds in the internet garden, they manage to cut a swathe out of the flowerbeds and uproot half the vegetables too. They do seem to have finally made some headway on making dubious backlinking practices obsolete, so that is a big step forward. But I think we still have a long way to go before quality content is reliable rewarded. catgypsy - I fully agree. It seems that content and the reader's experience often become victims when the time and energy scale is tipped too much towards off-page SEO efforts. Thanks again. Exactly. I read a lot of internet marketing blogs and they basically say the same thing. In essence, you have to forget about Google, to an degree, and concentrate on quality content and a useful site. It doesn't pay to get too wrapped up in the whole Google dance. If you have a great site, then the good page rank will come (I hope! haha). Your writing is very easy to read and understand and that's important...good job. catgypsy - Interestingly, if you read any of the HubPages blog posts, or official Hubs, the direction they give us mimics what Google conveys to us through their Webmaster Tools and Central Blog. I'm happy to know this Hub was easy to understand. Gloshel - Every little bit of SEO knowledge helps, right? The thing is, optimizing a website, blog or Hub for Google does not have to be difficult. Google is telling us in very clear terms, provide the best user experience possible, with content and creative tools - engage the user. That's what white hat SEO is all about. Of course there are a few other good SEO practices (keyword in URL, title, a few times in the text, image caption, etc.) that should not be overlooked. Thanks for your comment and votes. joejagodensky - What an extremely nice comment you wrote. I appreciate it very much and am so pleased that you found this to be an informative SEO Hub. Great hub on a complicated issue that you made simple and easy to understand! Great hub ktrapp I certainly have learnt a bit today from reading this. I have bookmarked it so I can go back and take it in. Thanks so much for this information voted up and away. Very well presented. You are one of the better writers I've encountered in Hubland. Thanks for this informative presentation. Vellur - I really do believe that Google SEO is as simple as distinguishing black from white and apparently their search algorithms are good at telling the difference between black hat and white hat SEO too. Thanks for your comment and votes. Thank you understood the concept - easy as distinguishing black from white. voted up, useful and interesting. carter06 - Well that's quite an endorsement of this SEO Hub. Thank you for taking the time to let me know just how helpful it's been. What I enjoy knowing most of all is that this new-found understanding of SEO will have a real impact on people's Hubs and other internet content. Thanks again. This is such great info on SEO...clear and succinct...finally I understand what it means and how to apply it to my hubs...thank you so much for this well written hub ktrap...many votes. rajan jolly - Thank you so much. It's great to know that this Google SEO Hub has been an understandable lesson to you. I also appreciate the votes and sharing. Ktrapp, this is definitely the easiest and simplest to understand SEO articles I have read. Bookmarked. Voted up, awesome and shared. It's been a great lesson for me. Millionaire Tips - Absolutely. Focusing on the reader is exactly what we should have in common with Google. Google's guidelines, blog and help section are all fantastic resources. In essence, we are partners with Google, so all web content providers should be very interested in what they have to say. bdegiulo - You may be new to HubPages, but you already have a fantastic body of work and your photography is stunning. I was reading your Mt. Ranier Hub - what a fantastic resource and what a great example of the value your personal photography adds to the page. Clearly you have visited the park, so I am very interested in your first hand account. (By the way the photo of the bridge is beautiful.) I would say you have the compelling content part of Google SEO down! SmartAndFun - Boy did you hit the nail on the head - I think many writers on the internet feel their job is done once the text of their article is written. But each user's experience is in fact the totality of what they see on the screen and how it functions. Remember, Google is telling us to provide unique, compelling content in a creative manner. The creativity combined with great content may even spark a reader to share your website with their friends. All of this organic visiting/sharing/linking activity will in fact ultimately help a page get better search rank. I carry my camera with me all the time. Even if photography isn't your strong suit your personal photos can add so much value to a page. Take your Easter bunny cake Hub, for example. The two photos of your kids add so much to the page. At the very least the photos give the eye a break by breaking up text, but at their best these photos tell me you know what you're writing about because I can see you have first hand experience. You've got my trust because I now see you as an authority. And the templates visually describe something I am not sure you could actually convey in words. This is great information - I think the lesson I have taken away from all of this is that we just need to focus on the reader. If we all focus on the reader, then we are working with Google on a common goal. Otherwise, it just adds too much complexity. I am definitely going to be reading the guidelines and subscribe to Google's blog. Great advice ktrapp. I'm fairly new to HubPages, less than 3 months, so I'm always looking for advice and help on how to maximize the potential of publishing on HubPages. Your article was very helpful, thanks for sharing. Natashalh - Thank you so much. I'm certainly flattered that you have found this Hub to be the best explanation of SEO that you've come across. I appreciate the comment and many votes. Blond Logic - What a great analogy and great line, "Needs and desires of the customer haven't changed, only technology." How true! Most customers/consumers/users have high expectations. When those expectations are met, it's human nature to tell others. If you discover a great new coffee shop or recipe, you usually can't help but tell your friends about it. The internet is no different. I'm glad you had a meaningful experience and I appreciate the votes and thought-provoking comment. RTalloni - I'm glad you feel both encouraged and relieved. If great content is provided and users' needs are met then social media links and perhaps other backlinks will occur naturally/organically. Business owners know that success involves having a great product or service, and marketing it in some fashion. But when the product or service (or Hub) is so great, there's no better marketing than old fashioned word of mouth. However, if a product/service (Hub) is bad no amount of marketing will help the business succeed in the long term. Thanks again for taking the time to comment. Thank you for this very practical advice that is written in plain English. There is much more to writing for the web than just writing, and you have reminded me of that. Although photography is not my strong suit, I need to keep my camera and video camera by my side at all times, and add more instructive photos and videos to my articles. As a writer, I tend to feel like once I have an article written I'm finished, but there is much more to it. Thanks for the inspiration! This is great! It is the best explanation of SEO and different types of SEO I've come across. It's clearly written, filled with examples, and it makes sense. Thank you. Voted up, awesome, and useful because I think it is all those things! At the end of the day, this is the same as it has always been. 'The customer is king' now it is 'the user is king'. The good practices that were used years ago to bring a customer into a store, can be applied to the internet. If they do not have a meaningful experience on our site or are disillusioned you have a disgruntled customer. Word of mouth is the best advertisement. It use to be talking over the garden fence with the neighbors now it is pressing the Facebook like button. Needs and desires of the customer haven't changed, only technology. If Google are trying to weed out the sites we all hate to land on, then they are just raising the bar for us because we aren't only web masters, we are also consumers. It is up to us to improve our game and stop whining about the changes. Voted up and useful and also bookmarked. In other words, I had a meaningful experience and would recommend this to my friends. As much as I need to... :) It's a little embarrassing to need to know so much! Your work is encouraging though. Meant to tell you earlier, enjoyed Maile Ohye's video. Thanks again for another great post. Thank you moneycop. I'm glad to know you found all this Google SEO information useful. Very true Arlene. HubPages does provide a lot of tools for creativity. Your Hub and video for the salsa garden is a prime example. Thank you, k! It does help to give your readers choices. The writing, photos, quizzes, videos, etc. It doesn't hurt to put those out there. They are all an extension of your creativity. And how lucky you are Arlene that you have had to use your own photographs. That is the recommended way of doing things. I really do think an author using their own photos lends credibility to some subjects. For example, one of the commenters above, KelleyWard, has a Hub about parenting creative kids. The first photo is an incredible work of art her son painted. Without reading any words other than the photo's title and caption I know this author is going to give me first hand knowledge about the topic. And it is the same with your Hub about prison guards with the photo of your badge. So lacking a few tech skills has worked to your advantage! But RTalloni, you can grasp it all, or as much as you need! Just jump down to the section on white hat SEO and watch and read everything below that point. Focus on your human audience. Create unique, compelling content. Try to present it in a creative way with images, videos, and things like recipe capsules where appropriate. Those are all the things Google rewards. And to help Google find your Hubs, be sure to use keywords and variations in your URL, title and headings. Let your focus be your content and your audience. Often I worry that too much effort is spent by writers with social networking and backlinking instead of writing. I just let that all happen organically.